This week FYI Philly is living it up as we rundown some of Philadelphia Magazine's 50 Best Bars. We also visit a new Gastropub in Society Hill, spend a day in the suburbs at one of America's top-rated small towns, and check out some fashion trends as the weather gets chilly. Plus, we help you balance your diet with some new healthy spots and a few comfort food options. FYI Philly airs Saturday at 7:30 and Sunday at midnight. We're celebrating the city's best bars, as rated by Philly Mag. Alicia Vitarelli highlights some newcomers to Philadelphia Magazine's list of 50 Best Bars. 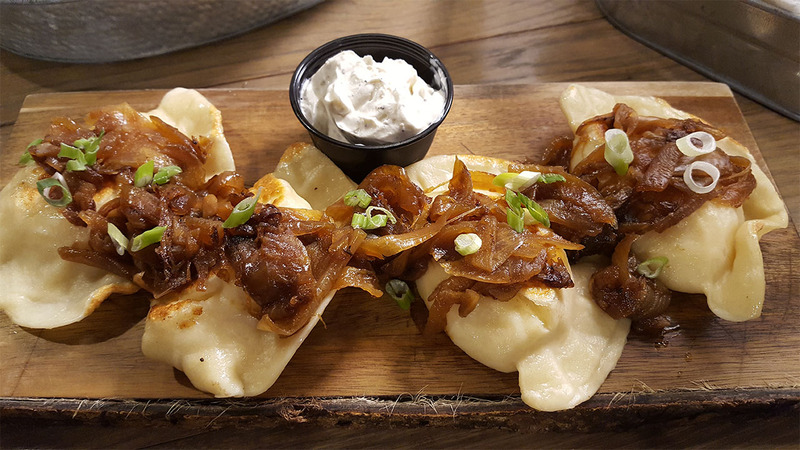 Melissa found a brand new underground gastropub in Society Hill. Melissa Magee checks out a new Gastropub in Society Hill that lets you get your grub on - and your groove on - completely underground! We're showing the trendiest fall fashions. Karen Rogers takes us to a couple new clothing boutiques for the latest fall fashion tips. We take a look at what makes Ambler one of the best small towns to visit. Jeannette Reye takes us to the suburbs for a day out in Ambler, Pennsylvania -- named to Thrillest's list of Best Small Town's to visit. We round up a few comfort food favorites. Alicia takes us to a few new spots in the city serving up savory comfort food favorites. New healthy spots with fantastic flavors. The holidays are fast-approaching and all too often they bring with them a few extra pounds. So Ali Gorman rounded up some new healthy eating spots that offer yet another reason to celebrate! We take a look at some new global cuisines. Melissa Magee goes international, tasting some new places bringing flavors from around the world to Philadelphia. GetYourPet.com is an online community that connects people with adoptable pets. GetYourPet.com is an online community that connects people with adoptable pets. David Murphy shows us how the innovative process has helped save over 500 pets. Broadway Philadelphia is bringing the hit musical Finding Neverland to town.